We all want WiFi when we arrive at a marina. The facilities provided are much improved but are still lacking at most marinas. If the signal is strong enough and you are close enough to the transmitter to receive, some marinas require you to keep logging in all the time. Some do not allow the “ports” for Whatsapp (messaging) or IMAP (e-mails) and so limit what you can do. So what is the solution? People from EU countries (goodness knows what will happen after Brexit) are able to roam throughout the EU at no additional cost. This, unfortunately, does not apply to Guernsey and Jersey residents with local SIMs or some visitors to the Channel Islands. So I am often asked, what solution do I use. First – do support your local telecom providers. They provide a really important service and we need to use their services. If we use all UK SIM data locally, this facility will surely get cut off if local people use it all the time. Unfortunately, the local telecoms providers are unable to provide SIMs which provide roaming in the EU without being charged by those EU countries. First, visitors to the Channel Islands with an EU SIM in your phone may be able to roam at no additional charge. I know Vodafone, EE and Three all say they include the Channel Islands in their Europe Zone, but do check your plan supports this before you incur any costs. You need 2 items to provide the best solution. This provides a WiFi link for up to 10 devices so can be used by your phone, iPad, desktop computer etc. All the SIM suppliers in the UK do cover the EU countries by law and I know Vodafone, EE and Three all do monthly subscription plans which cover the Channel Islands as well although I would not recommend using this in Guernsey and Jersey other than on an occasional basis if we want this to continue. Please do support the local telecom providers. The best value for boating enthusiasts is the Three SIM from Amazon. It comes with a large amount of data and lasts for 24 months and is cheaper than a monthly subscription model for most boating purposes. 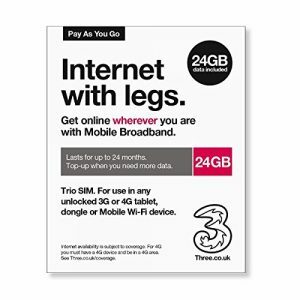 If you go to Amazon.co.uk and type in “Three Mobile Pay As You Go Mobile Broadband 24 GB Data SIM” it costs around £45 and lasts for 2 years! At the end of the 24 months or if you use up all the data, you can top it up but is probably less expensive to buy a new SIM. What is a MiFi device? Well, it is a mobile WiFi device or a Travel WiFi device. There are lots of devices available and your local Sure / JT / Airtel shop will be able to advise you. They normally have MiFi devices in stock. Alternatively, go to Amazon.co.uk and type in MiFi and it will list lots of devices so you can read the reviews. Make sure you chose a 4G device and it should cost you at least £50. 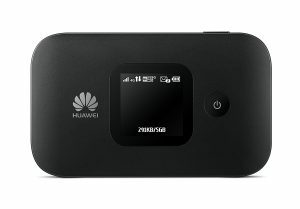 I have the Huawei device from Sure which works well and the TP-Link is also highly rated although I have not tried it. Some devices (including the Huawei) do allow you to configure it as a WiFi repeater and so you can use it to boost a share a WiFi signal instead. 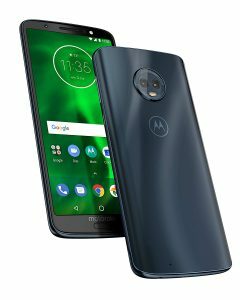 I have a top of the range Moto G6 phone which has lots of memory, is fast and includes a compass. The main thing is it can take 2 SIMs so is ideal for using a local SIM when in the Channel Islands but having a 2nd SIM such as the Three 24 months SIM which can be used for data. It is quite an expensive phone though as the special edition, top of the range one from Amazon is just under £200 shipped to Guernsey. There are devices you can have permanently installed in your boat but they can be quite pricey. Digital Yacht sells a device which a friend says works well digitalyacht.co.uk/product/4g-… and can be connected to the WL510 WiFi repeater if required digitalyacht.co.uk/product/wl5… but do check the latest information with Digital Yacht. I have a Wave WiFi and YachtSurfer Surf 4G www.wavewifi.com/services/rogu… which is OK but I would go for the MiFi device which is probably better and costs a lot less money.